User know-how needed in problem definition, not solution finding. Thus experience counts! 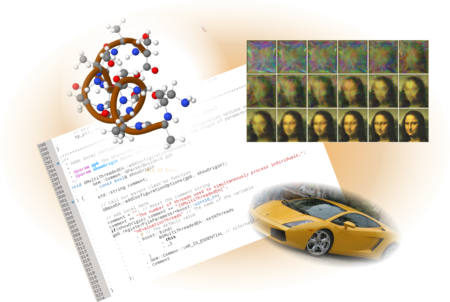 Geneva is a software library which enables users to solve large scale optimization problems. From a user's perspective, distributed or multi-threaded execution can be achieved just as easily as serial execution on a single CPU-core. Performance and extensibility are at the core of the C++-based, object-oriented design. The code is available under an Open Source license. Additional licensing options are available. Geneva was developed and is maintained by the Gemfony-team. We offer consulting, training and general services around the topics of technical and IT sciences, parametric optimization, Open Source in general as well as Computing security. Custom licensing options for Geneva are available. Our goal is to host, maintain and further develop software projects with a scientific origin, and to facilitate the technology transfer into the commercial realm, wherever possible. Gemfony scientific currently focusses on the automotive industry. We are a spin-off from Karlsruhe Institute of Technology (KIT). Please do contact us with any question or suggestion you might have, regarding our products, our mission or any other related topic, or have a look at our company presentation.